It comes after untrue allegations about the conduct of the so-called "tapas seven" appeared in three newspapers. Jane Tanner, Russell O'Brien, Fiona and David Payne, Matthew and Rachel Oldfield and Diane Webster are donating the money to the Find Madeleine fund. Madeleine, of Rothley, Leicestershire, went missing in Portugal in May 2007. The damages relate to articles in the Daily Express, the Sunday Express and the Daily Star between July and December last year. In a joint statement outside London's High Court read by Mrs Payne, the friends said they were pleased with the result but that it changed very little. In the court, solicitor-advocate Adam Tudor told Mr Justice Eady the articles had suggested that at least some of the seven - particularly Dr Russell O'Brien - had been identified as potential suspects by the Portuguese authorities. The newspapers had also suggested the friends had covered up the true facts and misled the authorities. Solicitor Keith Mathieson, for Express Newspapers, apologised to the individuals and said the newspaper accepted that the allegations were wholly untrue. The statement read by Mrs Payne said the stories written about the seven were "not only extremely damaging on a personal level, but we strongly feel were detrimental to the search for Madeleine". "This aspect has been particularly heartbreaking to witness." The group said they still believed Madeleine could be found, and urged anyone with information to come forward. The statement said: "She is still missing and her abductor still free. Our only aim is to see her safely recovered and reunited with the family who so adore her." Both the Daily Express and the Daily Star newspapers published apologies to the seven in Thursday's editions. They said: "We now accept that these suggestions should never have been made and were completely untrue." The apology is expected to be repeated in the Sunday Express. 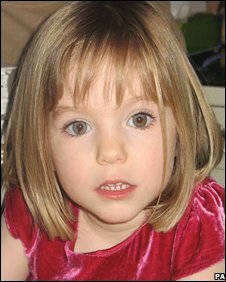 Madeleine was in a holiday apartment in Praia da Luz, in the Algarve, with her younger twin siblings when she disappeared on 3 May 2007 - just eight days before her fourth birthday. Her parents Kate and Gerry McCann were having dinner with their friends at a tapas restaurant 100 yards from the apartment at the time. The friends have since been dubbed the "tapas seven" by the media. When Mrs McCann returned to check on the children at 2200 local time, she realised Madeleine had disappeared. On 15 May 2007, British-born Robert Murat was made an official suspect - or "arguido" - in the case and in September that year Madeleine's parents were also formally named as suspects. But the police inquiry into the girl's disappearance was wound up this July because of a lack of evidence. 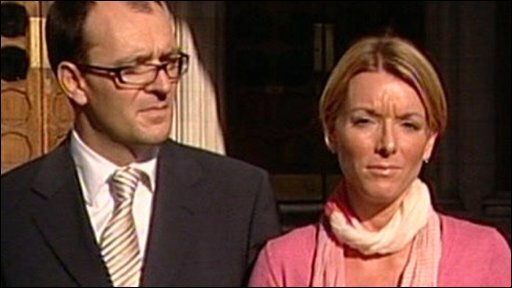 The McCanns and Mr Murat - who have always strongly denied having had any involvement in what happened to Madeleine - were then declared to no longer be formal suspects. Thursday's newspaper apologies are not the first about articles relating to the case. Last month The News of the World apologised for publishing extracts of Kate McCann's diary without her permission. In July Mr Murat accepted a £600,000 damages settlement over allegations in 11 UK newspapers that he had been involved in Madeleine's disappearance. In March, Madeleine's parents won a libel settlement and apology from Express Newspapers for suggesting they had been responsible. The newspaper group paid £550,000 to the Find Madeleine campaign and the Daily Express and Daily Star both carried front-page apologies under the headline "Kate and Gerry McCann: Sorry".